Three days in Madrid. Four people whose ages, energy levels, and interests vary wildly. A deep seated hatred for the word “bored”. How could we pull this off without someone feeling shortchanged? I was gripped by a vision of myself and my husband dragging our kids, attention spans long expired, through steeply priced art museums, self-consciously avoiding the judgmental glares of kid-free passersby. No, not my most optimistic moment. We knew we didn’t want to be tethered to a schedule in a frenzied attempt to complete a checklist of our guidebook’s “Top 10” activities, and yet we feared missing out. We wanted to return with fascinating tales and Facebook photos to match, but sensed that our sanity depended on letting go of some of that. It would be a difficult balance. Fast forward to the actual trip. 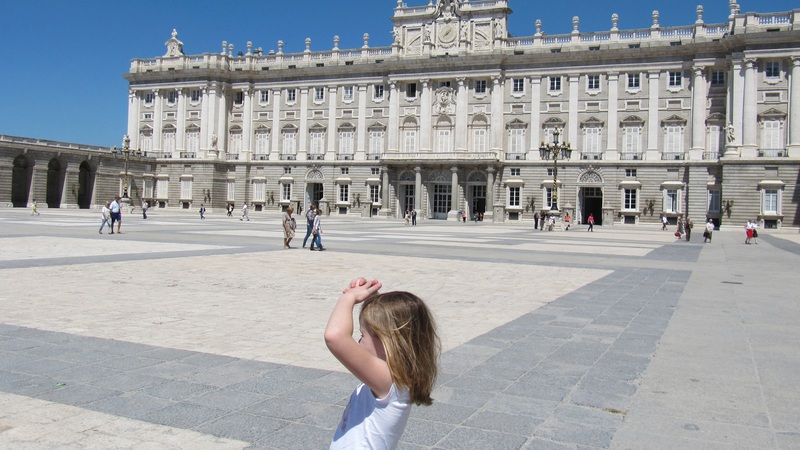 From the Palace Real to Retiro Park, we all found something we loved in Madrid, which was steeped in history, war, royalty, architecture, and art. Taking the train to nearby Segovia was simple and fun with Madrid’s extensive subway system and high speed regional trains. Most evenings, we lingered with tapas and wine on the outdoor patios lining the lively Plaza de Santa Ana, our favorite hangout. 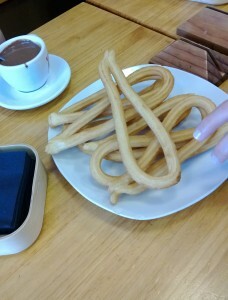 With a schedule that was pretty much open, we had time to revive ourselves with an embarrassing number of fresh churros dipped in cups of warmed dark chocolate. Our inept Spanish produced more blank stares than information, but the helpful locals took pity and switched to English. There was a lot we didn’t do in Madrid. What we did do was ditch the guidebook, stay firmly in the present, and reconnect as a family. Some things you can’t post on Facebook. Have you ever had trouble deciding what not to do on vacation? Share your story!